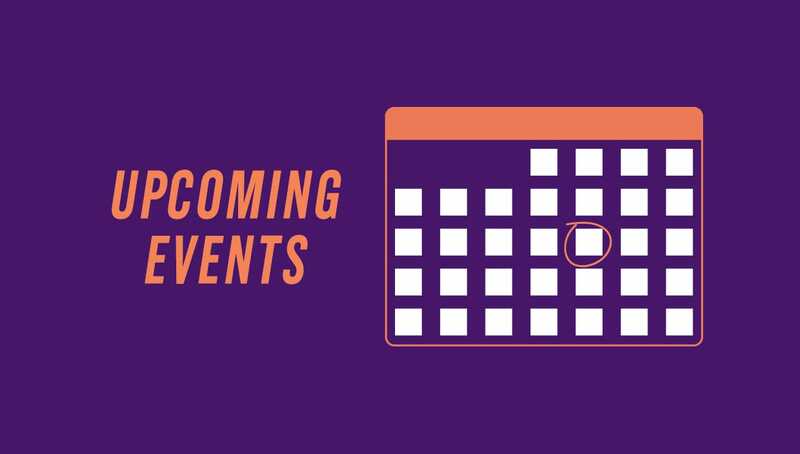 The University of Scranton announces calendar of events for the spring semester. Feb. 20 noon. Schemel Forum’s Munley Law World Affairs Luncheon Series: “Sing Sing Prison and the History of Criminal Justice: An Illustrated Presentation about One of America’s Iconic Institutions” presented by Brent D. Glass, Ph.D., director emeritus, Smithsonian National Museum of American History. Rose Room, Brennan Hall. Registration required. Fees vary. Call 570-941-6206 or email alicen.morrison@scranton.edu. Feb. 22-24 and Mar. 1-3 8 p.m. Friday and Saturday; 2 p.m. Sunday. Performance: “Bright Star” book and music by Steve Martin and Edie Brickell, lyrics by Edie Brickell, directed by Michael O’Steen presented by The University of Scranton Players. McDade Center for Literary and Performing Arts. Fees vary. Call 570-941-4318 or email players@scranton.edu. Feb. 23 11 a.m. “Ignite Student Leadership Conference.” Leadership development program open to Northeast Pennsylvania college students. McIlhenny Ballroom, DeNaples Center. $25 fee for non-University students includes program materials, refreshments and lunch. Pre-registration required. Call 570-941-6233 or visit www.scranton.edu/leadership. Apr. 2 8 a.m. Community Breakfast featuring Emmy-award winning journalist and Scranton alumna Nicole Young. Kane Forum, Leahy Hall. Invitation only with reservations required. Call 570-941-4419 or email community@scranton.edu. Apr. 6 9 a.m. National History Day Competition for junior and senior high school students. Byron Complex. Pre-registration required beginning on Feb. 1. Call 570-941-4549 or email nhdparegion2@gmail.com. Apr. 14 7:30 p.m. Performance Music: “In Concert” featuring Mannes School of Music Brass Orchestra and The University of Scranton Singers. Houlihan-McLean Center. Free. Call 570-941-7624 or email music@scranton.edu. Apr. 27 7:30 p.m. Performance Music: “In Concert” featuring The University of Scranton String Orchestra with guest soloist Kako Miura. Houlihan-McLean Center. Free. Call 570-941-7624 or email music@scranton.edu. Apr. 27-28 9 a.m. Saturday; Noon Sunday. Friends of the Library Book and Plant Sale. Heritage Room, Weinberg Memorial Library. Call 570-941-7816 or email kym.fetsko@scranton.edu. Tuesdays: Feb. 5, 12, 19, 26 & Mar. 5, 19 6 p.m. Schemel Forum Evening Course: “Kurt Vonnegut & the Narrative of Trauma” presented by Joe Kraus, chair and professor, Department of English and Theatre, The University of Scranton. Weinberg Memorial Library. Registration required. Fees vary. Call 570-941-6206 or email alicen.morrison@scranton.edu. Tuesdays, Apr. 2, 9, 16, 23, 30 & May 7 6 p.m. Schemel Forum Evening Course: “Ben Franklin as a Marketing Pioneer” presented by Abhijit Roy, D.B.A., professor of marketing, Kania School of Management, The University of Scranton. Weinberg Memorial Library. Registration required. Fees vary. Call 570-941-6206 or email alicen.morrison@scranton.edu.